Steven Paul Cohn is an employment lawyer who is dedicated to providing San Jose residents with exceptional legal representation. He has been practicing law since 1980, and in 1994, he founded the Advocacy Center for Employment Law. 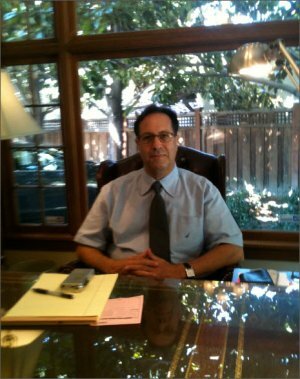 If you’re in need of a labor attorney in San Jose, you can find the expertise you need at our law firm. Our team thoroughly investigates complaints related to civil rights violations, unfair business practices, and sexual harassment. Mr. Cohn also handles cases related to all other aspects of employment law, including complaints of discrimination because of gender, age, and disability. At the Advocacy Center for Employment Law, we believe our results speak for themselves; however, we invite you to explore the credentials of our employment lawyer. Mr. Cohn demonstrates his commitment to professional development by authoring numerous publications in the field, serving as a continuing education lecturer, and serving as a guest speaker at employment law symposiums. In addition to serving as a law professor at the University of Santa Clara, he is also an American Arbitration Association Arbitrator. Mr. Cohn has received numerous recognitions for his dedication to excellence, including being designated as the 1992 California State Bar Wiley W. Manual Award recipient. This award recognizes lawyers who provide outstanding legal representation on a pro bono basis.